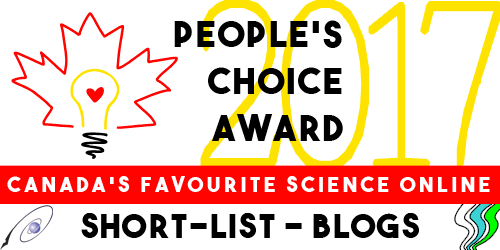 Are you a science student, a budding journalist, or a member of the wide community of citizens interested in science? Here's a Sci/Why blog post for families with youths and teens rather than very young children. Communicating research findings to the media and wider public in a way that is accurate and captures their interest can prove tricky. How do you stay in control of the story and where does real and imagined fake news fit in? You can read all about these two public events by clicking the link here, at York University's website. Admission to either event is free, but seating is limited, so contact them to make sure there will be room for you to attend. 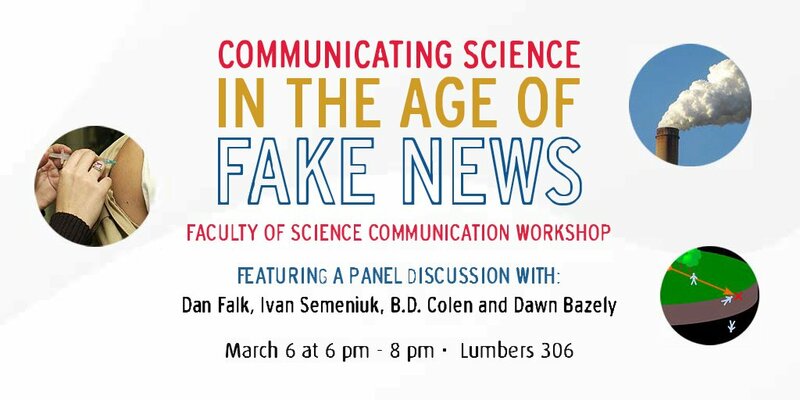 These workshops are not only for university people, but for students learning about science communication, and for people in the wider community. “Issues and Challenges in Science Communications” takes place from noon til 2pm, and “Communicating Science in the Age of Fake News” will follow that evening from 6 to 8pm. Either or both of these discussions among experts might be of great interest for students and their parents. If you're a youth interested in sciences or journalism, or the parent of one, these workshops might be just what you need. And for those people not in the Toronto area, contact your nearest university or community college to see what is happening where you live. If there are no public science events planned in your area at present, that's your opportunity to ask for one. Talk about what you and your friends need, whether it might be Science Summer Camp, citizen science water sampling, or info sessions for high school vocational options. You'll be amazed what can be arranged in your own district. Even a high school, library, or recreation centre can help you. Some speakers will visit isolated communities in person, while others will visit by Skype and internet chat forums. Science is not something that happens only in universities -- and even when it does, that kind of science is STILL meant to benefit all of us. I often think how time spent in nature is interesting and different, not only from season to season, but also in different types of weather. Varying conditions bring new, and sometimes surprising, outdoor experiences. 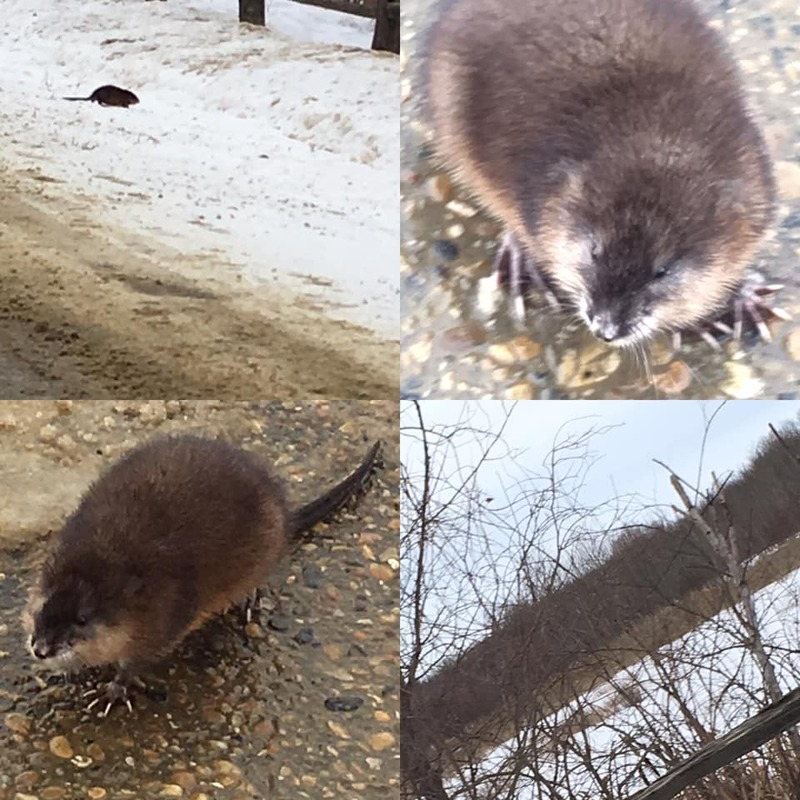 One mild winter day, I spotted this muskrat (Ondatra zibethicus) crossing an Alberta country road between two swampy areas. I pulled over to have a look. To my surprise, the animal turned, walked over to my vehicle, and took a good long look at me through the open window. It was fascinating to see his long toes up close. So that's how they dig into mud banks and build underwater tunnels! They also build houses, called push-ups, out of mud and cattails, bullrushes, and other aquatic vegetation. I could see why his rubbery-looking tale makes such a great rudder when navigating through water. Muskrats can stay underwater for up to 20 minutes. Their lips close behind the incisors, allowing them to chew underwater. Like beavers, muskrats may slap the water with their tails to warn of danger. This muskrat did not seem too concerned about possible danger. In fact, he walked beneath my vehicle during our encounter. (The last photo shows how my photography was impacted when I realized he was under the car.) As I turned off the engine and unbuckled to look out the opposite window, he finished inspecting the vehicle's undercarriage. Popping out, the muskrat resumed his waddling walk towards the frozen water. Experiencing nature in winter may lead you to surprising encounters. Even if you don't spot animals, you might see signs of their presence. Look for tracks, paths, and depressions in the snow, where animals may have bedded. If the weather is going to keep you indoors, check out Dot to Dot in the Sky, Stories in the Clouds. While waiting for your ideal day, you can discover the science of how different types of weather occur. You'll also find tales and folklore from around the world that reveal how ancient cultures first explained rain, thunder, wind, frost, and snow. You might even find a few tips for predicting the weather, so you can plan your next nature visit! Kids love soap bubbles. So do adults. What’s not to love? They’re pretty colours, they float and you can pop them. Couldn’t be simpler. Until you get into the science of soap bubbles. There’s a lot of math, physics and chemistry in them. What are they made of? Good enough to eat? If you look up recipes to make your own bubble liquid, you’ll find instructions to mix water with dishwashing liquid and glycerine. Glycerine is an edible sweetener which dissolves in the water. Bubbles are a sandwich: a thin layer of water between two layers of soap molecules. The soap molecules have a hydrophilic (water-loving) side and hydrophobic (water-hating) side. The molecules align themselves with the hydrophilic side attached to the water. The soap decreases the surface tension of the water, allowing it to stretch into a very thin sheet. The bubbles usually pop after a few seconds. That’s because the water evaporates out of the sandwich. The dissolved glycerine slows down the evaporation process, making the bubbles last a little longer. Touching the bubbles with anything dry will cause them to pop immediately. But if you catch them with, or allow them to land on something wet, they’ll last longer. More fun physics here. The colours are created because of thin film interference (like the colours in an oil slick on the surface of water). Some light waves (B in the diagram below) are reflected off the outside surface of the bubble; some (A below) go through the water and then are reflected off the inside surface. The reflected waves A and B could be in the same phase and reinforce each other, as in diagram 1. In this case C (the reflected A and B waves) is stronger than either A or B. Or, as in diagram 2, the reflected waves could be out of phase with each other. They essentially cancel each other out and the combined C wave is very weak. Whether the waves reinforce or destroy each other depends on the exact thickness of the film and the wave length (colour) of the waves. In both cases the surfaces meet at an angle of 120°. This is unexpectedly complicated. In 1760 the legendary mathematician Jean-Louis Lagrange posed the problem of finding the minimal surface area to enclose a given boundary. The Belgian physicist Joseph Plateau experimented with soap bubbles in the mid-1800’s, formulated some laws and the general problem has been known as Plateau’s Problem. Work has continued on more and more general solutions to the problem. It’s hard enough that Jesse Douglas earned a Field’s Medal (the Math “Nobel Prize”) in 1936 for his work on the problem. More recently, “in 2015 Jenny Harrison and Harrison Pugh used cohomology to define spanning sets and Hausdorff measure weighted by a bounded Lipschitz function to define area, and solved the problem in this setting. Their paper is currently under review”. (Full disclosure: I have no idea what this math is. But it’s impressive so I just copied and pasted). Joseph Plateau is also known for being the first to demonstrate that when you see multiple successive pictures with small differences, it creates the illusion of movement. In other words, he invented the idea of movies! Jenny Harrison completed her PhD in England on a prestigious Marshall scholarship. She did post-doctoral work at Princeton’s Institute for Advanced Study (that’s where Einstein, von Neuman and Godel worked) and then taught at Oxford University for three years. Then, after five years as an associate prof at University of California – Berkeley, she was repeatedly denied tenure. She eventually filed a lawsuit based on gender discrimination. After four year years, a settlement was reached whereby an new independent committee reviewed her tenure application, and unanimously recommended approving tenure.